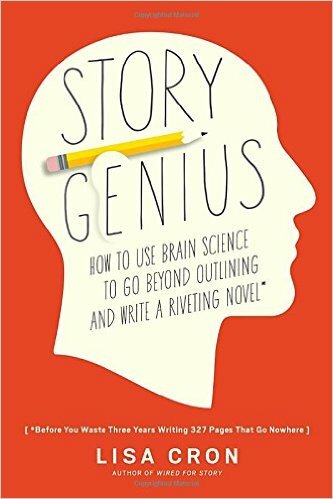 For this month’s contribution to #AuthorToolBoxBlogHop, I’m reviewing Story Genius by Lisa Cron. A member of one of my Facebook groups recommended it to me. Story Genius’ core message is to know your character’s why. The author emphasizes the importance of you knowing the origin of your main character’s world viewpoint. What specific event happened before the story started that has significantly driven all of her life decisions? The “Know Your Why” concept is something I explored in my book, The Plot Thickens:21 Ways to Plot Your Novel, in the chapter “5 Whys”. A member of my former writing group, Lisa, always drilled down to the character’s motivation. She force me to answer why they make current decisions based on a specific turning point in their early life. For example, in an unpublished work of mine, the main character, Naomi, is fiercely loyal to her adopted family. She makes wrong and unethical decisions to salvage her brother’s reputation. Her “Why”? Peeling through the layers of her past, at age eight, she witnessed her birth parents’ murder/suicide. She vowed to do anything necessary to thank her adoptive family for taking her in. She validated their decision with her loyalty. This causes multiple problems from the start of the story, pushing her through the rabbit hole of bad decisions. Ultimately, she has to question her misbelief to attain her true goal. My very first, official writing conference I attended was Deb Dixon’s, based on her book, GMC: Goal, Motivation and Conflict: The Building Blocks of Good Fiction. Since then, I’ve always looked at my character’s motivation, but Story Genius, asks you to look further and question more. What early event changed your character’s view on the world? How did it form a false belief that has stopped him from getting what he really wants? What inciting event at the story’s start pushes against his misbelief and causes him to make more and more wrong decisions as the story progresses? What ultimately forces him to confront his misbelief and allows him to reach his goal? The book’s subtitle is misleading. While the author touches on how humans are hardwired for story, she did not delve deep enough into the biology of explaining how our beliefs affect our behavior. 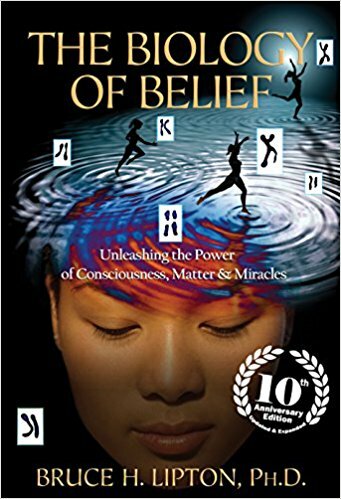 For the best, in-depth explanation on that theory, pick up a copy of The Biology of Belief by Bruce H. Lipton. Story Genius reinforces a story tool I’ve used since the beginning: the character’s “Why” matters and drives the plot. I have not sharpened this tool lately, as I tend to gallop from one plot point to another. I now have to step back, ask questions, and make it clear to myself and my readers why my character makes the decisions she does. If I can bring her “Why” to the forefront, I’ll have a realistic, flawed character the reader can identify with. Do you explore your character’s background before writing? How deep do you go? I hate character interviews. Who cares if she hated chocolate milk in the second grade? (unless her classmates teased her, warping her sense of friendship that carries on into adulthood, and clouds her view of society). See, that’s what I’m talking about. Please comment if an event in your character’s past (B.S., before story) shapes the decisions he makes A.S. (after story). #AuthorToolBoxBlogHop is a monthly blog hop for authors who want to learn more about being authors. Held the third Wednesday of the month, the members participate with “posts related to the craft of writing, editing, querying, marketing, publishing, blogging tips for authors, reviews of author-related products, anything that an author would find helpful.” If you would like to learn more or become a member, go here. I’ll be back in July with another AuthorToolBoxBlogHop tip, and twice a week (fingers crossed) with other writing information and happenings in my life. This month’s #AuthorToolboxBlogHop centers on self-editing tips. I’m fresh off a bout of editing/beta reading, and, boy, are my arms tired. No, really, the book was a hot mess, and I’m afraid there’s an author sniveling somewhere and either plotting my mortal demise or vowing to never write again. I was merciless. Here are 12 self-editing tips you can use when your first draft is done. Remember, brevity is your friend. Sarah stood up. (Is Sarah going to stand down?) Change it to : Sarah stood. Mike sat down on the chair. Change it to : Mike sat on the chair. Speaking of stage directions, the reader doesn’t need a blow-by-blow description of mundane tasks. Bad: Sarah walked to the cupboard and took out the oatmeal container. She poured some in a bowl and added water. She stirred the mixture then put it in the microwave. Sarah pushed the button for one minute then stepped back to wait. Cut out words when it’s obvious what is happening. Bad: Eric shielded Jane’s body. Bad: Bill and Mike glared at each other in a face off. The use of crutch words. Don’t remove the reader from the story by making them aware that the character is a character. Eliminate words such as heard, saw, watched, imagined, wondered, felt. Bad: I felt my breath catch. Bad: She heard the lock snap shut. Good: The lock snapped shut. Bad: He felt a chill go through his body. Good: A chill went through his body. Or: Ice skated through his veins. Vary your sentence length. Don’t be James T. Kirk. Bad: The monster picked up a boulder. It glittered in the sunlight. James prayed to the Father. The monster threw the boulder. Better: The monster picked up a boulder, which glittered in the sunlight, and threw it. James prayed to the Father. Redundant adverbs. The general rule is to kill your adverbs and use a stronger verb instead. If the adverb doesn’t add to the verb, drop it. Flying body parts. This error often involves the description of eyes. Use gaze, stare, glance, etc for a better description of eyes..
Be aware of what you’ve said in previous scenes, and even in the same scene. In the book I edited, the main character walked into a room with nothing in it but a couch and a television. But a few sentences later, someone sat on a chair and laid something on a coffee table. What? Be aware of word repetition. This can sneak up on you but can be caught by reading your work aloud. I use Scrivener and Word’s text-to-speech feature. Beside me, Jane gasped. We gasped as the monster picked up a second boulder. I gulped as I prayed for deliverance. Jane gulped as the boulder sailed over our heads and landed ten feet away. In the same vein, be aware of your favorite words and expressions. Do your characters sigh all the time? Frown? Scowl? Nod? Touch their cheek or chin? Rub their arms for no apparent reason? Turn to the other person every other sentence? Be aware of your writing tics and eliminate them. Passive voice. OMG, it’s one of my pet peeves, and my first book earned me the Passive Voice Crown. Bad: We were surrounded by monsters. Better: The monsters surrounded us. Bad: A shimmer was in the air. Bad: The monster was glaring at us. Better: The monster glared at us. Dialogue tags. Use said. It’s invisible to the reader. Better yet, switch up the dialogue tags with action. So, there you have it, an even dozen self-editing tips. Don’t be like me when I started. Learn from feedback. Read articles, ask questions, watch videos, and listen to podcasts. Every drop of wisdom you absorb will make you a better writer. This blog is part of #AuthorToolboxBlogHop, a monthly event featuring resources for authors. Each month, we share our writing tips. 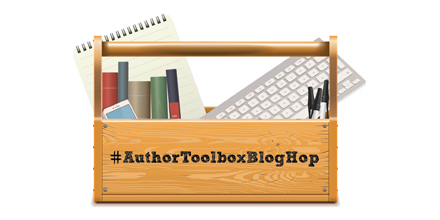 To follow other authors or join, visit RaimeyGallant or follow the #AuthorToolboxBlogHop hashtag on Twitter. Last week, we looked at the peculiarities of the first born and middle child. 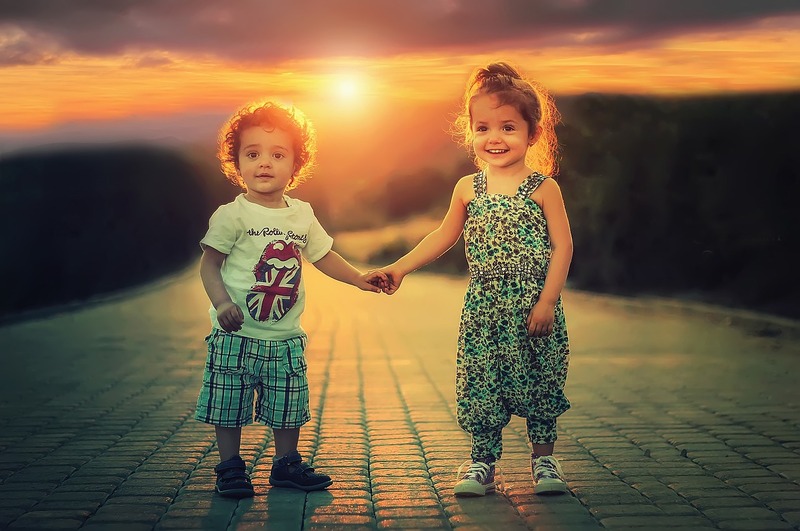 In Birth Order Part 2, we’ll examine the last born, only child and twins. The way they behave can help you in crafting your story’s characters. Careers include “On stage” professions – TV announcers and anchor people, salespeople (because of their ability to manipulate people). They like jobs where they can work alone and do things at their own pace. Why? “Taught out” parents let the kid fend for himself. They are suckers for praise and encouragement. Their attention-seeking antics can be turned around with a “I’ll show them” attitude. Famous last born children include Howard Stern, Jay Leno, Danny DeVito, Steve Martin.